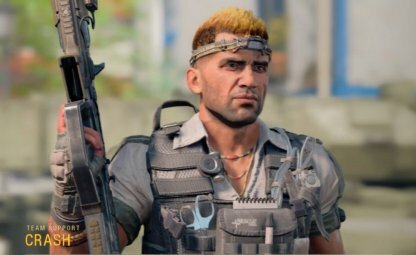 Here are all of the specialists in Call of Duty BO4. Included are the roles each specialist is suited for & the special equipment they use. When Do You Need This Specialist? 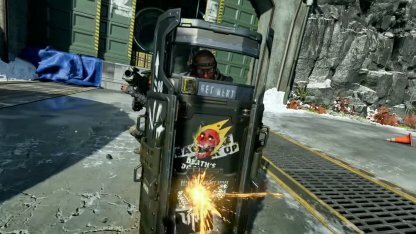 Break enemy entrenchments and clear a path for your team through strategic use of the Ballistic Shield and powerful 9-Bang stun grenades. Durable transforming defensive shield with a built-in machine pistol. Tactical grenade that flashes and stuns. Can be cooked to detonate multiple times. 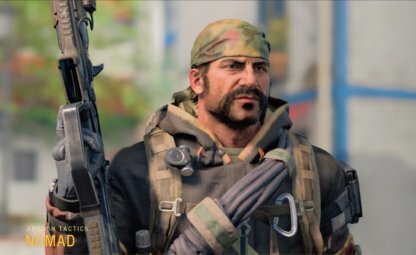 It is best to use the 9-Bang when planning on taking a group of enemies. Blinding them will give you enough time to bring them down in their vulnerable state! 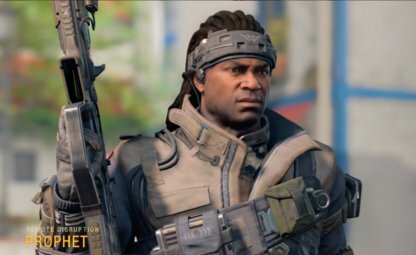 The Ballistic Shield is perfect for when you want to go on the offense, and push the objective. Move forward and soak up damage while your team follows behind you. Use explosive firepower to rain down hell and clear an enemy stronghold quickly using a combination of the War Machine and Cluster Grenades. Powerful explosive grenade that sticks to surfaces and releases sub-munitions upon detonation. Use the Cluster Grenade to clear out rooms of camping enemies. Best used far away from you as the Cluster Grenade can damage you as well! Using the War Machine will help you destroy groups of enemies clumped together as the War Machine deals explosive damage over an area of effect. Support your team with instant health buffs and ammo resupplies that accelerate the earning of Scorestreaks. When timed correctly, these actions can turn the tide of a battle. Heals, boosts max health, and removes Burns for the user and their team. Deploys ammo packs that provide bonus score for taking down enemies. For longer battles, provide some support for your team by giving them extra ammo, so they can survive longer in the field! Give your teammates a buff by boosting their max health, and healing them to increase their survivability. Best used in game modes where no respawns are available. Use tactics of area denial to clear strategic locations with devastating doses of radiation from the Reactor Core or the cleansing flames of the Purifier Flamethrower. Flamethrower that shoots a stady gout of flame, scorching enemies within close game. Emits a damaging radiation field that Burns enemies, reducing their max health for a time and preventing Healing. Best used when damaging an area with lots of enemies over time. Holding the equipment button, radiates enemies in an area more, but can deal damage to you as well. Use to clear out an area full of enemies. Touching the flames for a short amount of time is lethal enough to kill enemies. Turn the environment against your foes through the tactical placement of Mesh Mines. Dispatch your trusted K9-Unit companion to hunt down enemies that escape your traps. Attack dog that can be commanded to either follow you or patrol a designated location. Deploys explosive traps that connect to create lethal tripwires. Best used in fast-paced game modes. Use the Mesh Mine in tight corners to blow up unsuspecting enemies that pass by! Don't set the mine too far apart or they will not trigger an explosion! Unleash your Rabid K9-Unit to hunt down and kill enemies for you! Helps to build your scorestreak if the dog can find a lot of enemies.Watch out as enemies can kill your dog! The autonomous Seeker tracks down unsuspecting enemies while you neutralize hostile formations with high-voltage electrical blasts from your Tempest rifle. A tactical style rifle that shoots electrically charged Shock Rounds. A rolling shock mine that seeks enemy players, paralyzing them on contact. Deploy this to actively seek out enemies. 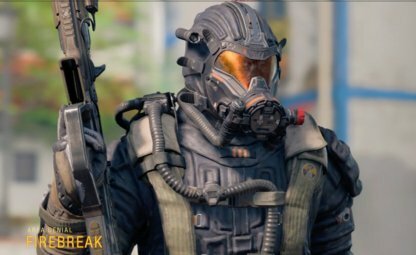 Opponents who come in contact with the Seeker Mine will be immobilized for a few seconds, more than enough time for you to bring them down. The first shot from the Tempest that connects with an enemy will shock them, forcing them to go prone. A second shot will then eliminate them. Use this to pick off enemies one by one. Intel wins wars. Expose your foes' movements to your team with the powerful intelligence gathering capabilities of your Sensor Darts and Vision Pulse. Pulse the map to reveal all enemies for yourself and teammates. Sensor equipment that reveals enemies in its proximity. Place the Recon Dart in areas where you believe a fight will go down. This will reveal hiding enemies on your team's minimap, allowing you to be ready when they show up! Use the Vision Pulse to give you and your team an advantage by showing enemy positions on your team's minimap and HUD. This will help your team better start engaging enemies. Lead the charge with the superior agility and mobility provided by your Grapple Gun. Destroy your enemies head on with the devastating power of the Grav Slam. Kinetic device that delivers a lethal blast radius around the point of impact. Quickly grapple and zip to locations nearby. Use the Grapple Gun to quickly traverse around the map, and get out of sticky situations. Try to use the Grapple Gun as much as you can since it recharges quickly. Use the Grav Slam to clear out an area full of enemies. Get close to the group using the Grapple Gun, and then Grav Slam to eliminate tons of enemies. Control the flow of battle using a Tac-Deploy beacon, keeping your squad in the action. Execute the enemy with precision shots from the Annihilator pistol. Massive high-caliber revolver that fires devastating rounds with increased bullet penetration. Deployable beacon that allows your teammates to redeploy to the surrounding area. 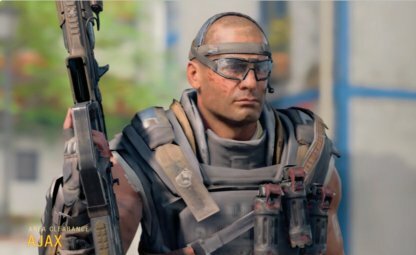 Use the Tac-Deploy to allow your teammates to respawn near key objectives. Use this to cut down on travel time when you need a constant stream of people to help you secure an objective. The Annihilator is a very powerful weapon as it can instantly kill other enemies. Best used against armored enemies. Build Barricades to reinforce your squad's position while deploying Razor Wire to funnel the enemies' movements into your team's crossfire. Deploy reinforced cover for protection while securing objectives. Built-in microwave field slows and damages enemies. Defensive razor wire damages and slow enemies that attempt to cross it. Use the Razor Wire to block an enemy's potential route, leading them to chokepoints for you and your team to focus your fire on. Best used on pathways with small openings. Use to hold down your position in a sticky situation. Push back enemies with the Barricade's microwave field, and fire back at opponents from a distance! The Barricade can only take a certain amount of damage before getting destroyed. 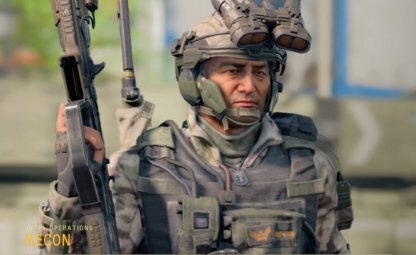 Zero has the unique ability of taking control of enemy equipment and scorestreaks. If timed well, you can turn the tide of battle to your favor! Powerful hacking device that disables enemies and steals or destroys their equipment. An EMP grenade that disrupts enemy equipment and HUDs. 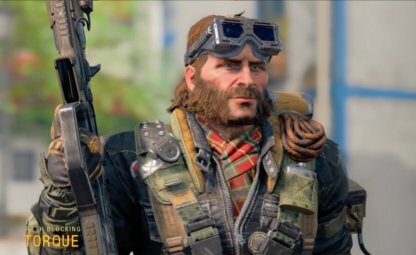 Throw the Disruptor to instantly destroy certain enemy equipment like mesh mine and razor wire, or temporarily disable Specialist Weaponry like Torque's Barricade. The EMP also disrupts your opponents' HUD, hiding your team from radar. 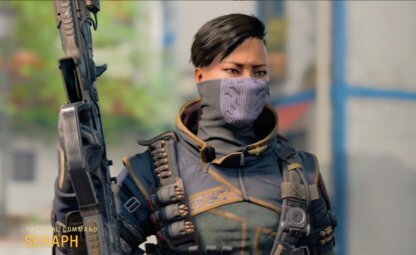 If you find your team overwhelmed with enemy scorestreaks and by enemy equipment, Zero can use her Ice Pick ability to take control of them. Use this to turn your enemies' scorestreaks and equipment against themselves! Outrider excels at scouting a wide area with her HAWK, and allows her to see enemy positions with precision. 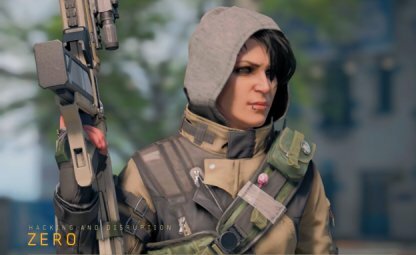 Her Specialist Weapon can also take out multiple enemies quickly as explosive arrows can cause damage to a small area upon when it explodes. Fires highly lethal arrows that explode shortly after impact, damaging nearby enemies. 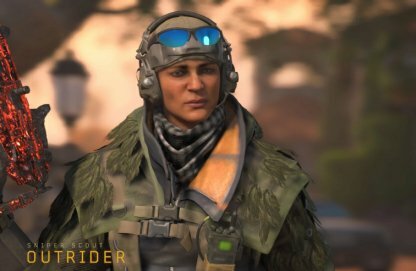 Outrider performs very well on objective based modes as she can look over objective points with her Hawk, giving her valuable enemy position information. Take note however that this info is only provided to you, so make sure to relay enemy position via voice comms. Her Sparrow ability is very valuable as well in objective points where enemies tend to gather around. Use this ability to quickly take them out, or force them to move out of the area. 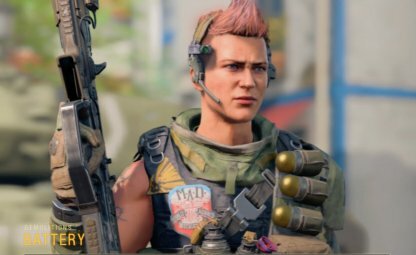 One downside with Outrider is that you need to position manually her Hawk drone in order to gain enemy position info, and this is not particularly useful in Team Deathmatch or other modes where enemy spawns rotate a lot. In Multiplayer mode, you need to choose a specialist before getting into a battle. Each specialist has a special equipment and weaponry that can be used as time passes in the battle. 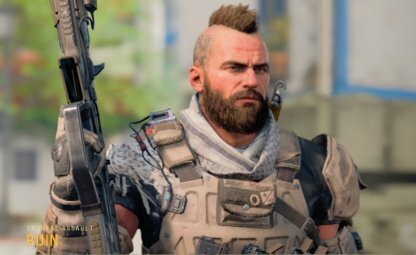 Specialist weapons & equipment are the actual difference between specialists, so get to know more about their special weapons to use them in correct situations. Specialist Weapons take more time to charge up than Equipment. On an average, you can only use the Weapon 2-3 times per game. It is more important to choose a Specialist with Equipment more suited to the situation.